The French conductor and experimental composer Pierre Boulez was known for his carefully crafted, complex compositions, including Pli selon pli, a portrait of the poet Stephane Mallarme for voice and orchestra. Boulez studied with Olivier Messiaen and Rene Leibowitz, who introduced him to Arnold Schoenberg’s twelve-tone system, which disregards traditional concepts of tonality, harmony, counterpoint and thematic development. Boulez expanded this method to include not only pitch, as had been the case with Schoenberg, but also rhythm, dynamics and timbre. This method is known as SERIAL MUSIC. Among his famous serial works are Le Marteau sans maitre (The Hammer without a Master, 1953-54) and Doubles, Rituel, Eclat/Multiples. Poesies pour pouvoir (poems for Power) makes use of electronic sounds. Mallarme’s poetry also stimulated Boulez’s Improvisations on Mallarme (1959), a piece for voice and orchestra. In 1967, Boulez became principal guest conductor of the Cleveland Orchestra, later accepting the positions of chief conductor of the BBV Symphony Orchestra and music director of the New York Philharmonic. In 1972, He accepted the invitation by the French President to create and direct the Institut de Recherche et de Coordination Acoustique/Musique (IRCAM), the computer-music research center in Pais, and he then founded the Ensemble Intercontemporain. Widely regarded as one of the leading interpreters of the Second Viennese School composers (Schoenberg, Berg, and Webern) he also performed and recorded much Wagner, Mahler, Bruckner, Stravinsky, Bartok, Debussy, Ravel and Messiaen. In 1995, he made a major tour with the London Symphony Orchestra to celebrate his 70th birthday, as well as in 2000 to celebrate his 75th birthday. 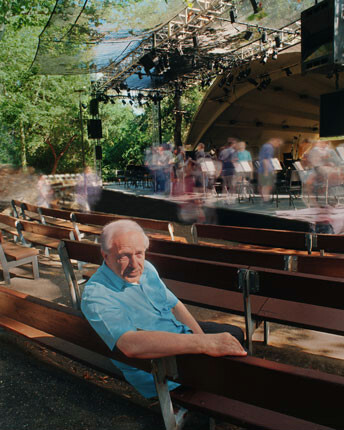 Towards the end of his life, engagements included concerts with the Ensemble Intercontemporain at the Schleswig-Holstein and Helsinki festivals; concerts in Cologne, London, and Paris with the Vienna Philharmonic and with the Chicago Symphony Orchestra.